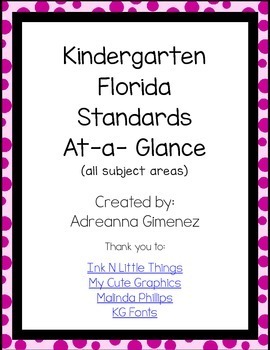 An easy and quick reference for ALL Florida Standards for Kindergarten. These include MAFS, LAFS, Science NGSSS, and Social Studies NGSSS. ALL Math Florida Standards are listed on one page. 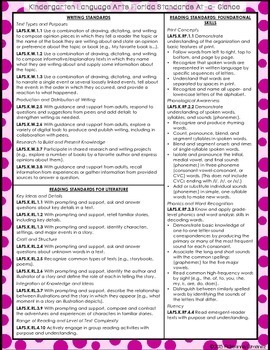 ALL Language Arts Florida Standards are listed on two pages (but printed double sided will become one). 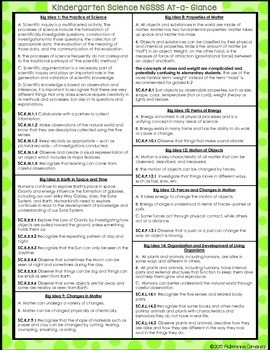 ALL Science Standards are listed on one page. 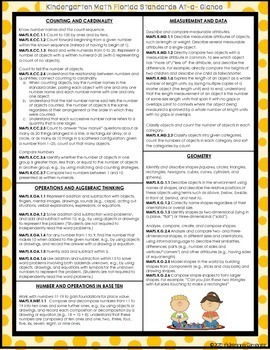 ALL Social Studies Standards are listed on one page. All standards are directly from CPALMS.